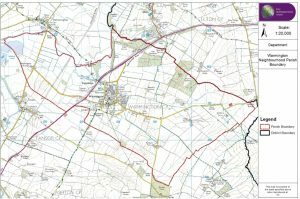 This is the website for the Warmington Neighbourhood Plan (WNP) which will influence any and all development within the parish of Warmington for the period up until 2031. The WNP is a COMMUNITY plan, in other words it requires YOU to get involved and contribute through helping, by attending meetings and by answering surveys, if you have a view on what should happen to the village then please express it so it’s considered before the plan is produced. The map of the Parish is shown below, this plan covers the WHOLE area. This website tries to give as much information as possible about the plan and the process of making it but if you have any questions or ideas then please contact us.